British physician John, along with the familiar physical characteristics and facial features. Children with Down syndrome are at increased risk of cardiac (heart), endocrine (thyroid), gastrointestinal (digestive), auditory (hearing), and periodontal (gum) conditions. Many people who work among individuals with Down syndrome note their general happiness and positive outlook on life. However, these people may experience depression and anxiety in early adulthood and develop Alzheimer’s later in life. Trisomy 18. Also known as Edwards syndrome, this is the second most common trisomy condition. Children born with Trisomy have severe intellectual disabilities that accompany microcephaly, an unusually small head (along with a small lower jaw). Many other internal and external physical anomalies are present as well. Half of infants die before their first week, and only 1 percent survive beyond their first year. Trisomy 13. At times referred to as Patau syndrome, children with trisomy 13 have severe intellectual disabilities. As with trisomy 18, most infants born with trisomy have severe medical conditions and die very early in life and only 5 to 10 percent live beyond their first year. Though trisomies 13, 18, and 21 are the most common, trisomy can occur with any chromosome. Most of those genetic anomalies, however, are not viable and result in miscarriage. The risk of having a baby with a trisomy condition increases with the age of the mother, especially after her early 30s. Statistically, the incidence of trisomy 21 (Down syndrome) is about 1 in 1,000 live births; for trisomy 18, this is about 1 in 5,000 live births, and for trisomy 13, about 1 in 10,000 to 21,700 live births (the median figure being 1 in 16,000 live births). However, there are no precise figures on how common Down syndrome and other trisomy conditions are, as some parents elect not to carry a fetus that has been diagnosed as such to term. Such abortions are naturally a highly emotional issue, with strong viewpoints even within each of the Pro Choice, Pro Life, and disability advocacy communities. Aida will do anything for food – sneaking into the pantry or refrigerator at midnight, stashing away leftovers from an earlier party… even lying and stealing, if that’s what it takes. No, Aida is not a criminal. Neither is she a drug addict. Aida (an entirely fictitious name) has a condition in which she has an insatiable appetite, combined with an obsessive-compulsive need to relieve the constant hunger. It’s a rare condition, to be sure. Only between 1 in 10,000 and 25,000 people born have Prader-Willi syndrome (PWS), a condition first described fairly recently, in 1956, by a group of researchers after whom the disease has been named. Aida will do anything for food – sneaking into the pantry or refrigerator at midnight, stashing away leftovers from an earlier party… even lying and stealing, if that’s what it takes. No, Aida is not a criminal. Neither is she a drug addict. Aida (an entirely fictitious name) has a condition in which she has an insatiable appetite, combined with an obsessive-compulsive need to relieve the constant hunger. It’s a rare condition, to be sure. Only between 1 in 10,000 and 25,000 people born have Prader-Willi syndrome (PWS), a condition first described fairly recently, in 1956, by a group of researchers after whom the disease has been named. According to the Prader-Willi Association (USA), there are nearly 309,000 documented cases of PWS in the U.S., but this figure may reflect only about one-third the true total, which means that many people with PWS are not receiving the services they need. Newborns and children have low muscle tone, appearing soft and floppy. Their almond-shaped eyes are similar to those of infants and children with Down syndrome. Because the condition is caused by a gene mutation, genetic testing is necessary to confirm the presence of PWS. Children may have a delay in speech and intellectual development. 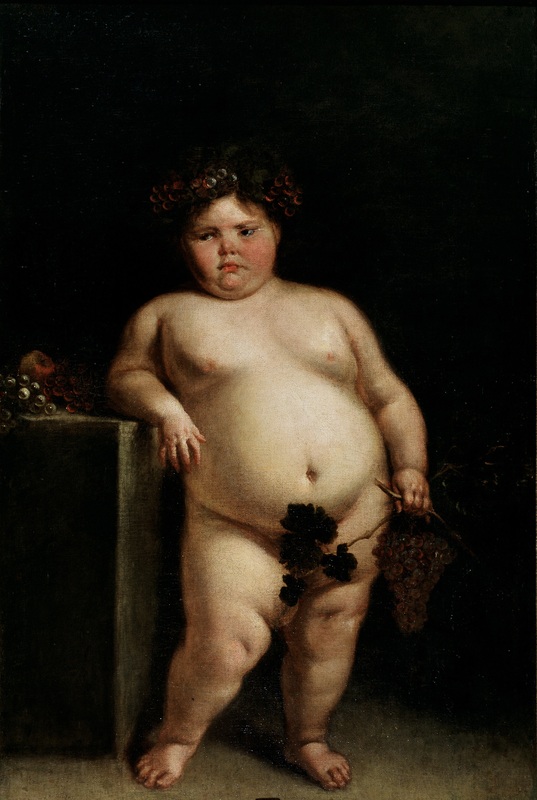 Although infants with PWS have difficulty feeding, children between the ages of 2 and 8 develop a habit of overeating. Children usually receive growth-hormone therapy to control appetite, increase muscle mass (and tone), and compensate for their short stature. Food may have to be kept locked away. Special locks are available for refrigerators. Physical contact must be with caution, as people with PWS have soft skin that bruises easily. Because people with PWS are prone to diabetes, a diet low in sugar is necessary. People with PWS may need a positive airway machine to help with their sleep apnea. Skin picking and other obsessive-compulsive behaviors are common among with people with PWS, who may exhibit emotional and behavioral disorders. A related genetic disorder is Angelman syndrome (AS), named after the British pediatrician who first described it in 1965. Children and adults with AS often smile and have a happy demeanor, despite their severe developmental delay. These children are often referred to as “angels,” both because of their youthful, happy appearance and the syndrome’s name. (An older term, “happy puppet syndrome,” is considered offensive.) With research and advocacy efforts, it is hoped that people with AS and PWS will have reason to smile. About 1 in 10,000 and 25,000 people born have Prader-Willi syndrome. Why the huge discrepancy? Because the condition is so rare, not all physicians know of it to make an accurate diagnosis, and many symptoms are easily confused with other, more common conditions, such as Down syndrome. 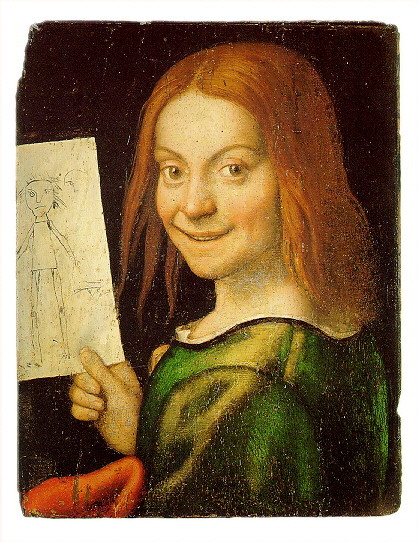 Although this rare condition was not described in the scientific medical literature until 1956, children with PWS and Angelman syndrome have been depicted in realistic portraits by artists of the Renaissance and Baroque periods. Oscar-nominated and winning actress Mayim Bialik is also a neuroscientist. She completed her PhD dissertation on Prader-Willi syndrome and portrayed a neuroscientist on the popular TV series The Big Bang Theory.